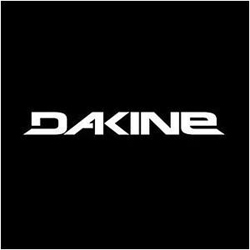 Following the completion of the sale of Dakine to Altamont Capital Partners on July 23rd, 2013, Dakine announces that effective immediately Francois Carrete has stepped down as president, and that Leslie Lane will assume the role of chairman and chief executive officer. “We’d like to thank Francois for his leadership and efforts over the past 18 months and wish him future success. We are excited to begin this new chapter in Dakine’s history, and are pleased to be able to invest in the future of this great brand,” said Leslie Lane. Prior to joining Dakine, Lane was an operating partner at Altamont Capital focusing on Consumer/Retail businesses, previously he spent several years as a senior executive with Nike, Inc.
“We are excited to have an executive of Leslie’s experience and talent join Dakine. We see great potential for this company and are confident that his leadership can unleash that potential,” said Steve Brownlie, Principal at Altamont Capital. Backed by a pro team roster that includes some of the world's top action sports athletes, Dakine has been an industry leader in action sports accessories since 1979. Founded in Hawaii and located at the base of Mt. Hood in Hood River, Oregon, Dakine offers a complete range of innovative and quality products, including outerwear, sport-specific and lifestyle-driven backpacks, bags, travel gear and accessories. Dakine products are available for purchase at specialty sports retailers worldwide.